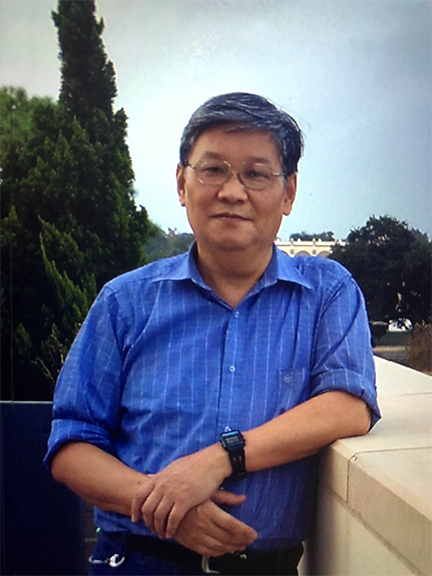 Yu Zhou Gu, 60, of Houston, died Sunday, April 6, 2019, in Beaumont. He was born on July 4, 1958, to Zhen De Huang Gu and Rui Hua Gu, in Shanghai, China. Mr. Gu grew up in a musically talented home with his parents being accomplished pianists. At the age of eleven, Yu began practicing the violin, being taught by a family friend. He was a graduate of Shanghai Music School with a degree in violin performance. After graduation, Yu went on to play in the Shanghai Symphony and Shanghai Philharmonic Orchestra. Mr. Gu met his wife Ying Liang Zhao Gu, in 1992 at the symphony. In 1995, the couple moved to the United States to study at the University of Houston. Yu was an accomplished violinist who played for various symphonies throughout the state, including Galveston, Victoria, Lake Charles, Clear Lake, and Beaumont. Survivors include his wife of twenty-five years, Ying Liang Zhao Gu; son, Steven Gu; parents, and numerous friends in the regional symphony. Mr. Gu’s memorial service will begin at 10:00 a.m., Tuesday, April 30, 2019, at Calder Baptist Church, 1005 North 11th Street, Beaumont. I am saddened in Yu’s sudden death. I am rejoicing that he is with Lord Jesus and you will be with him again in the future. I have recorded the GSO for several years and enjoyed listening to the orchestra. It was a pleasure to record the group. I know all will miss his talented contributions to this orchestra.